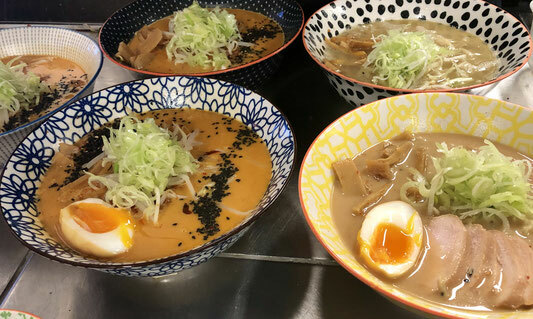 Our Menu - yume-ramens Webseite! Our Ramen is 100% homemade. 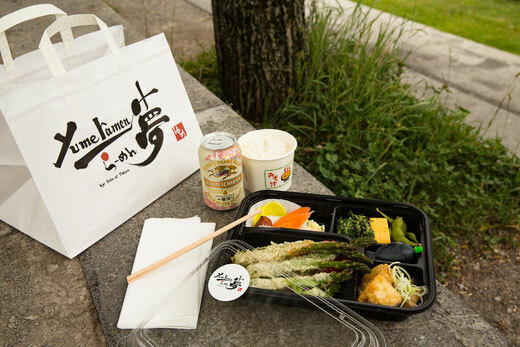 Broth is prepared daily with stocks made from selected Swiss ingredients and the yume's secret sauce recipe. Noodles are from Swiss natural flour (no transgenic crops! ), produced with original Japanese Ramen machine, rested for a few days to mature the perfect taste. The harmony of our unique and perfectly balanced broth and noodle promises you to have the unforgettable Ramen experience. No MSG is used in our kitchen. Only Swiss pork, chicken and eggs are used. Our Bento is everyday prepared at the store by Japanese ladies. The recipes are the same as the one used in their home, which brings the real Japanese homemade tastes. We also have a Bento pass, for our regular customers. Healthy and tasty. A perfect company for your lunch break. You can now order the Bento Online from our HP. Izakaya is like a Japanese pub, where you enjoy your wonderful time with your family, friends and colleagues. Japanese love to go out for drinks after work, weekends and for any other occasions. Izakaya offers casual cozy atmosphere with a range of drinks and easy but tasty Japanese foods. 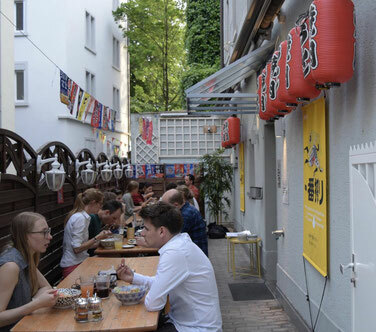 yum-ramen brings this traditional cozy Japanese drinking culture to Zurich. Enjoy your precious moments with your loved ones accompanied by yume's casual Japanese foods and drinks.